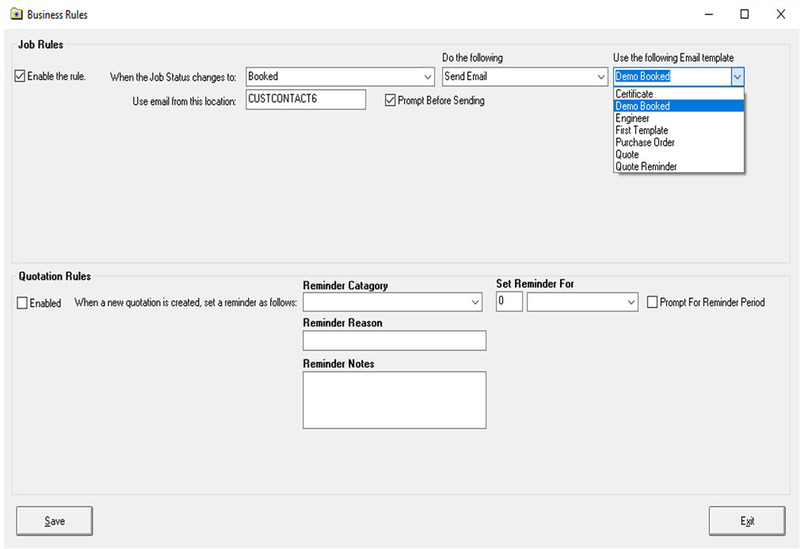 To set up automated emails, you must first make sure that there is an email template set up that can be used in relation to when a specific status is selected. So, from the Job Tracker Home screen click on ‘Control Panel'. Then click on the ‘Email Setup’ tab at the top of the screen. Click on the ‘Email Templates’ button. Within the new window, click on the drop-down arrow within the 'Template Name' field, to look at the templates that have already been created. If there is a template that you would like to use, click on it within the results and click the ‘load template’ button. Ensure that all information is correct and still up to date. 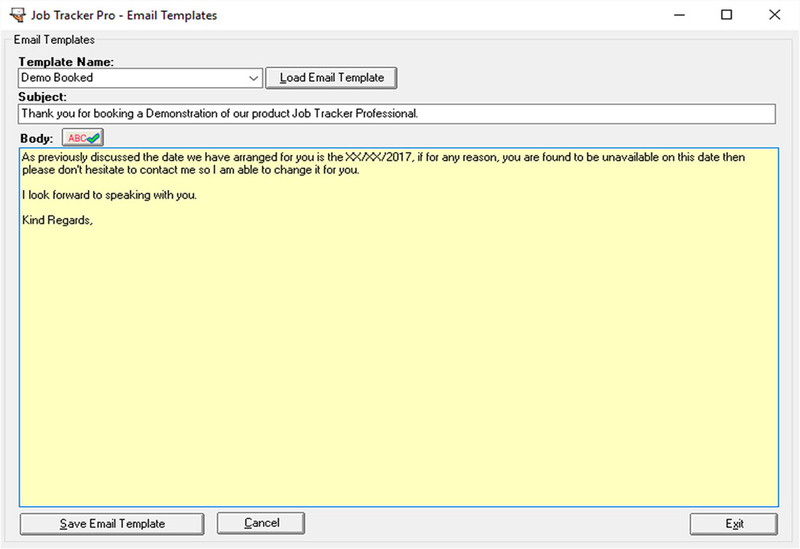 If any changes need to be made, ensure to save the changes by clicking 'Save Email Template' at the bottom of the screen. Click on the ‘Program features’ tab at the top of the screen and proceed to click on the 'Business rules' button. Looking within this section, make sure that the ‘enable the rule’ option has been ticked. Click on the first drop-down arrow to select which Job status you would like the rule to be triggered by. 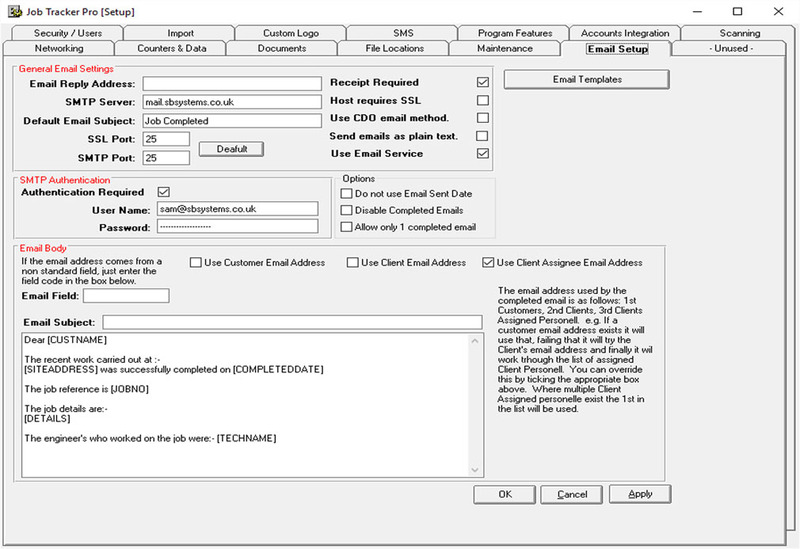 Within the nextfield, select the drop-down arrow then click on ‘send Email'. Within the final field select the drop-down arrow and select the email template you would like to use. Make sure the 'Prompt before sending' option is ticked. Once all complete click 'save'.